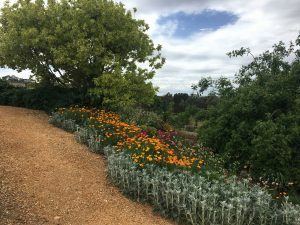 Sitting on top of a hill on the outskirts of Castlemaine with views to Mt Franklin and Mt Alexander the garden has been taking shape over the last 27years. The property is 5 acres with approx 2 acres under garden. 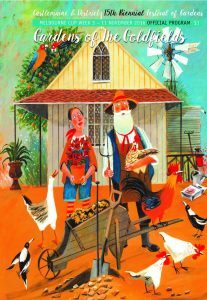 There are formal, cottage, vegetable and native gardens with an orchard. 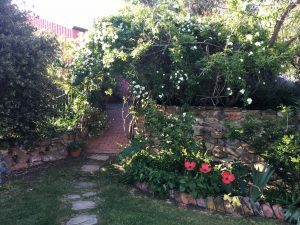 With very little top soil initially, trees, perennials and the 48 red standard roses that line the brick path to the front door have been planted and are thriving with lots of all year round colour and interest.